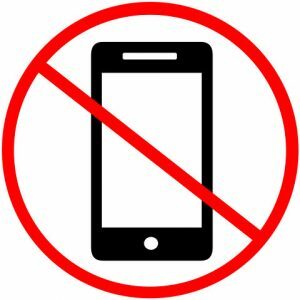 However after taking a look around online I noticed that there wasn’t really many websites that actually listed the legitimate non phone jobs all in one place so I’ve decided to take it upon myself to do just that. Non Phone Jobs From Home – Do They Really Exist Or Are They All Just Scams? Before I jump in and start listing the actual opportunities themselves, let me first bust a myth & tell you that YES you can work from home even if you can’t bring yourself to speak on the phone (or just completely hate doing it). I’ve been working online now full-time for around 6 years and do you know how many times I’ve spoken to somebody on the phone? Probably around 2 or 3 times throughout that whole period… And that was only by choice. The one thing I will mention though is that there are a LOT of scams trying to take advantage of people who want to work & earn money but don’t want to speak on the phone so you have to be super careful when it comes to these types of jobs. This week alone I’ve exposed several systems on this blog that did just that, such as the Home Income System for example – but I want you to know that all of the opportunities listed on this page have been verified to be legit. The other thing I want to point out is that you must set yourself realistic expectations. There is no work from job that is suddenly going to see you earning lot’s of money with little work. If you want to make good money at home then you’re going to have be prepared to put in a fair amount of work to make it happen. Especially so if you want to generate yourself a full-time income online. As far as I’m concerned this is without doubt one of the best ways you can make money online, and whilst once upon a time it was something that was more reserved for the “marketing gurus”, these days companies like Wealthy Affiliate have opened it up to everybody by putting together easy to follow (and free) training courses. Providing you can follow simple step-by-step instructions you can find success with affiliate marketing for sure. For example let’s say you become an Amazon affiliate, this would mean that you could promote any of the products found on the Amazon website & that you’d be able to earn commissions for doing so. You simply get given a unique link to the products which contain an ID code that is attached to you, so if somebody clicks through your link & happens to buy something the sale gets tracked back to you & you get paid as a result. Obviously you’re not going to start out earning that kind of income right away, but I just wanted to show you that so that you know that if you keep working at it then the potential for you to earn big is definitely there. If you want to learn how to get started with this then I’d recommend you take a look at my Wealthy Affiliate review. You’ll find out more about how it all works & what you need to do to get started. I have several blogs – you’re reading one of them right now, and blogging is a fantastic way to generate an income online. Not only can you earn money through it, but you get to discuss something you’re passionate about at the very same time. What could be a better job than making money simply by talking about something your passionate about? And again this is something that’s actually really easy to get started with – in fact I put together a step-by-step guide on starting a blog and making money here. Sure, you’ll need to invest in some web hosting & a domain name in order to get your blog live on the web but providing you follow it through you can easily make this money back 100 times over. Some bloggers are making millions from their blogs, and that’s not even an exaggeration. If you don’t like speaking on the phone then you could just sit comfortably behind your keyboard & earn an income by typing as a blogger instead. If you’re curious as to how blogs actually make money then check out my free guide on making money from a blog here. If you live in the UK then there’s an awesome way to make money called matched betting – and you might initially associate it with gambling but it actually doesn’t involve any gambling at all because you’re proven to win. I know that might sound crazy but honestly it’s true. Basically matched betting sees you converting the free bets offered by bookmakers into real cash that you can actually withdraw into your bank account. It essentially just involves you covering all of the outcomes so that no matter what happens you can’t lose – and whereas when making a normal bet this would typically see you losing money, because of the free bet being offered you actually end up making it. To learn more about it and to get the tools you need to start making money from it you should check out the website Profit Accumulator. You’ll be able to make money the very same day you join & overall you’ll have the potential to make around £500 or more per month from home. I’m gonna point out straight away that this isn’t a “job” as such and that there is the potential of you losing money rather than making it… BUT there’s an awesome thing called social trading that many people are now using to generate a full-time income from home… Even people who had no prior experience in trading whatsoever. You see it actually differs quite a lot from normal trading because social trading essentially just sees you copying other peoples trades. This way you’re able to find expert traders, follow them, watch what they’re doing & copy trades that you think will be profitable. The benefit is that you get to see their full trading history, so you can easily pick out who should be a good person to copy based on their past performance. The best place to get started with this in my opinion is eToro. That option is to become a freelancer – and there are many websites which will help you do this, one of them being the website Freelancer itself. I once worked through that site many years ago & whilst it was tough going I did manage to make a fairly decent income. The problem though is that the competition is fierce, so not only will you be bidding for jobs against hundreds of others – the money you’re getting paid for the work you’re doing will likely be quite low too. Once you manage to get a bit of positive feedback behind you though things will likely improve as they did with me. I was then able to get jobs through the site much more easily & I was also able to increase my prices. There’s literally jobs for anything on there but obviously the more skilled the job the more you are going to earn & the easier it will be for you to get work. If you can do graphic design, web design or anything like that then this type of thing could be pretty good for you… If you can’t, don’t worry you could still bid to do something like data-entry tasks or writing tasks instead. Be aware though that whilst MOST employers will likely just use the chat feature directly built into these freelancing websites, some may want to speak with you over the phone to give you a better idea of the work they want doing. If you’re not comfortable with this though you could easily get out of it by just telling them that you’d prefer written messages through the site for “security purposes” so that it’s all logged in case of any mishaps (such as disagreements over work). This is quite similar to the freelancing method above, only with a bit of a twist to it. 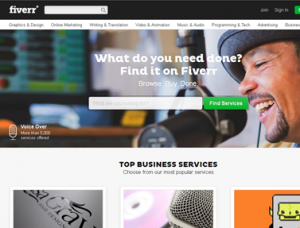 There’s a website called Fiverr through which you can offer your services – and these services can be pretty much anything you can imagine. It started out that all of the things offered on there had to cost $5 – so whatever you did you could only charge $5 for it (hence the name) but they ended up changing it & now you can charge pretty much whatever you like. As I say the tasks can be anything – so they could be “normal” things like proofreading documents, transcribing some audio… OR alternatively just recording yourself doing jumping jacks in your back garden (yes things get pretty weird on there). If this is something that interests you then you can read more about Fiverr here – and don’t worry, they have an internal messaging system for their buyers/sellers so there’ll be no need for you to speak on the phone at all. As you can see there are actually plenty of ways you can work from home without speaking on the phone. The ones I’ve listed above are the main ones that will likely earn you the most money, but there are several others which are listed within my extended guide to making money online here. All I would advise is that whenever you do look into non phone jobs from home that you make sure you always do your due diligence. As I said, all of the methods listed above are legitimate but there are many websites pushing flat-out scams. Just know that as the saying goes “if it sounds too good to be true, it probably is”. You see whilst the internet provides you with plenty of extra opportunities to make money, it’s not magical & there’s no systems out there that will see you making lot’s of money without actually doing anything at all or only doing very little. And to be honest with this extra guide here you shouldn’t even really need to look elsewhere. I’ve tried to list literally every work from home job possible right there on that page to help point you in the right direction.